-- Secret service agent Ethan Burke arrives in Wayward Pines, Idaho, with a clear mission: locate and recover two federal agents who went missing in the bucolic town one month earlier. But within minutes of his arrival, Ethan is involved in a violent accident. He comes to in a hospital, with no ID, no cell phone, and no briefcase. The medical staff seems friendly enough, but something feels... off. As the days pass, Ethan’s investigation into the disappearance of his colleagues turns up more questions than answers. Why can’t he get any phone calls through to his wife and son in the outside world? Why doesn’t anyone believe he is who he says he is? And what is the purpose of the electrified fences surrounding the town? Are they meant to keep the residents in? Or something else out? 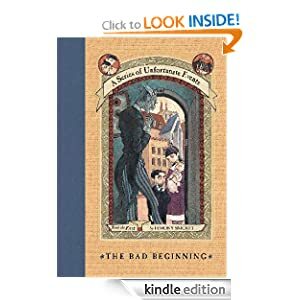 Each step closer to the truth takes Ethan further from the world he thought he knew, from the man he thought he was, until he must face a horrifying fact—he may never get out of Wayward Pines alive. 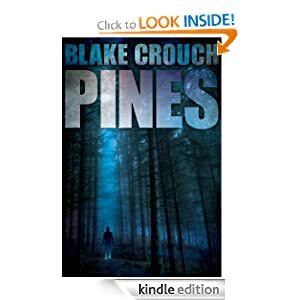 Intense and gripping, Pines is another masterful thriller from the mind of bestselling novelist Blake Crouch. Sure enough, her colorful fashion sense, exuberant personality, and “absolutely true” stories land her at the center of attention most of the time, but as Mrs. Pidgeon’s second grade class prepares for their Thanksgiving pageant, the lead role of Squanto is still up for grabs. And so is the role of Room Mother, but with each of the children’s parents already overloaded, there are no volunteers to bring cupcakes to their play. So Gooney Bird promises to find one—in exchange for the lead. 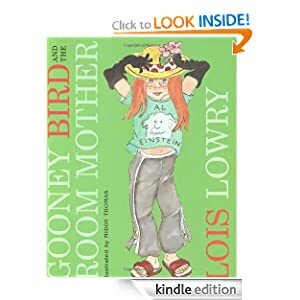 There’s just one catch: the person she convinces to be Room Mother insists on remaining incognito. As the class struggles to decorate the mural, make costumes, and learn their songs for the play, the suspense builds: will the pageant be a success? And who is their mysterious Room Mother? -- Nobody's ever made baking history with a scrawny cookie. No matter what the occasion, nothing beats the big, fat, homemade kind. 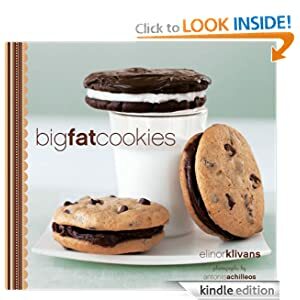 With this deliciously fun cookbook and a few simple ingredients, anyone can whip up a quick batch of one of 50 different gigantic crispy, chewy, or fancy-pants sandwich cookies. From classic Super Chocolate Chip to colossal Mocha Mud Mountains, Jumbo Coconut Macaroons to Lemon Whoopie Pies, this is total cookie satisfaction. Introductory material includes tips on buying the best ingredients, techniques such as mixing and forming the perfect round, baking ahead and storing, and for those who actually like to share their cookie show to pack them up safely so they won't break on the way to the party. So, get that sweet tooth ready and bite into a Big Fat Cookie.